When a personal trainer is completing their fitness training, they are often also required to complete a nutrition course. This means that you can often be confident about the nutrition advice your trainer provides. It’s also widely known that physical exercise goes a long way in improving mental health issues like depression, and is actually a recommended part of the treatment by many medical practitioners. 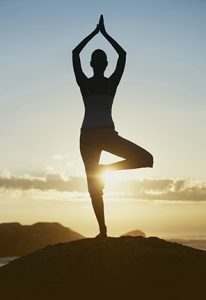 A regular fitness routine can be a great help if you’re suffering from mental health problems. This is because your online personal trainer will help you choose the best exercises to release high levels of endorphins, will help you stay motivated, and will help just by being there as a shoulder to lean on and and ear to listen to your problems. And honestly speaking, most of the time you’re interacting with your personal trainer, you’ll be telling them about your day, how your career is going, and whatever else is going on with your life at the time. It’s totally normal, and quite helpful. 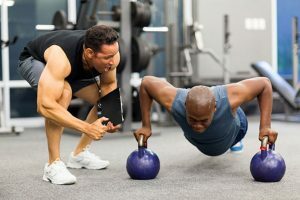 Regardless of whether you can only create time for working out at an absurdly early hour before work, or mid-afternoon before your children come home from school, or even on your lunch break, personal trainers have versatile hours for this very reason. Most trainers understand that people will be available at different times, and they’ll create time to serve you at your most convenient time. They also understand that not everyone enjoys being in a crowded gym, or waiting for the machine you want to use to become available. The beauty of having an personal trainer is that you don’t necessarily have to work out where the equipment is available. Your trainer will most likely have some essential equipment with them, and you have the option of choosing where you want to work out. Whether this means working out in the comfort of your own home or inside a neighborhood park, they will be flexible enough to conduct the training at a place that suits you best. For the time you’ll be working with your personal trainer, you’ll gain a wealth of knowledge to stay fit, inspired, and safe when your sessions are through. So, in a way, you aren’t just paying for fitness tips and sessions to help you during the time you’ll be working together; you’re also paying for the knowledge you gain that will allow you to stay healthy and fit for the rest of your life. Your personal trainer will ideally be your source of motivation, a nutrition guide, and a life coach. Without them, it’ll be much harder for you to achieve your fitness goals.